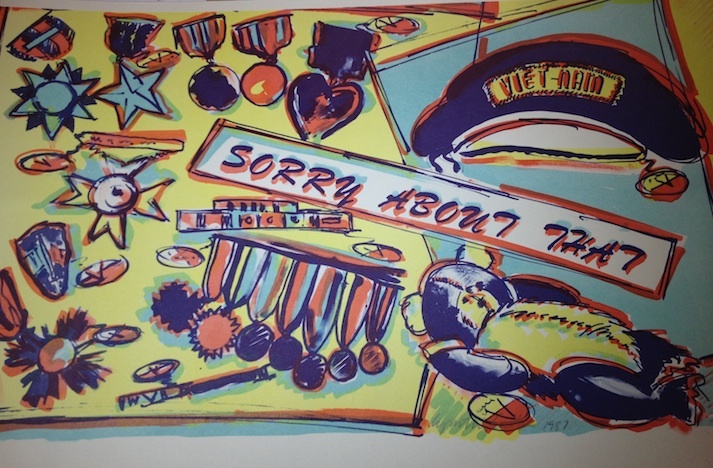 This is the print I got at Pyramid Atlantic for becoming a member! After a brief sojourn at the Pyramid Atlantic Art Center birthday party (where I sewed my own book, made a letterpress birthday card, block printed a handkerchief, and somehow managed to say no to the gorgeous looking red frosted cupcakes that were offered to me three times), I made a pit stop at Joe’s Record Paradise for: Rick Astley’s Whenever You Need Somebody, Rosanne Cash’s Seven Year Ache, K-Tels Disco Rocket (a 2-record set! ), and the piece-de-resistance (insert teen scream here) Michael Jackson’s Off the Wall!